Customs and Border Protection Commissioner Kevin McAleenan testifies before a Senate Judiciary Committee hearing on 'Oversight of U.S. Customs and Border Protection' on Capitol Hill in Washington, Tuesday, Dec. 11, 2018. The nation's top border security official told skeptical senators Tuesday that the use of tear gas on a group of migrants that included children was justified to manage a chaotic clash where a crowd was hurling rocks at agents and trying to illegally cross into the U.S.
U.S. Customs and Border Protection Commissioner Kevin McAleenan testified before the Senate Judiciary Committee, answering questions on the separation of families, enforcement operations, illegal drugs and funding for the border wall — at the same time President Donald Trump was publicly arguing with Democratic leaders at the Oval Office on the topic. 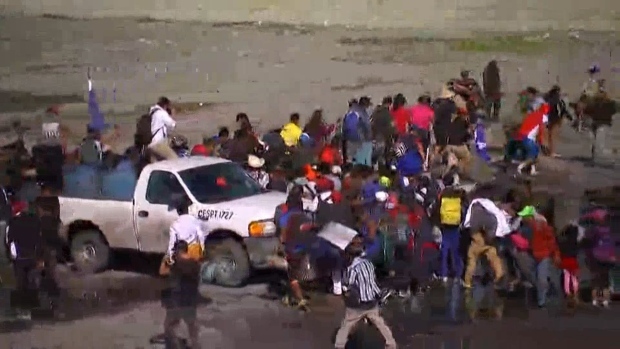 Border security officials said somewhere between 500 and 1,000 migrants tried to cross the border illegally Nov. 25 near California's San Yisdro port, prompting an hourslong shutdown. Tear gas and pepper balls were deployed on the crowd and some children inhaled the gas. Democratic Sen. Dianne Feinstein of California questioned whether children were intentionally hit with tear gas, and challenged its use. "We did not target young children," McAleenan responded, saying agents used pepper balls and gas after rocks were hurled. "I think it's remarkable that agents were able to resolve the situation without any serious injuries or a breach of the border," he said. Four Border Patrol agents were struck by rocks and one needed knee surgery, he said. 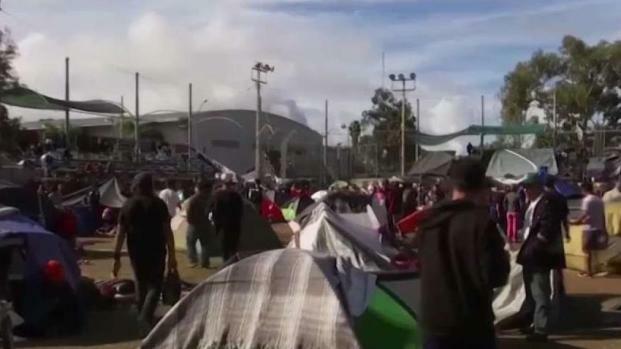 The chaos began after a peaceful protest by some of the thousands of migrants marooned in Mexico after traveling on foot from Honduras. There were 42 arrests on the U.S. side, but no one was criminally prosecuted, in part because there wasn't enough proper documentation. McAleenan said there would be a review of the incident, as all force incidents are reviewed, but he said the agents were acting consistent with their training. They have discretion on how to deploy less-than-lethal force: It must be both "objectively reasonable and necessary in order to carry out law enforcement duties," and used when other "empty hand" techniques are not sufficient to control disorderly or violent subjects. 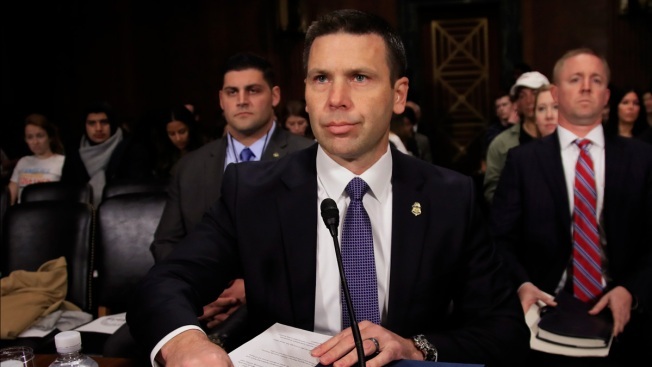 On border security, McAleenan said his agency wants 1,100 miles of a "border wall system" with Mexico that would include natural barriers and steel fencing that agents can see through. He said barriers would be an important tool to help deter illegal crossings, but he also urged the senators to look at the entire immigration system — and asked for more agents and better technology. Customs and Border Protection is the country's largest federal law enforcement agency, with more than 23,000 officers at border crossings and airports, and 20,000 border patrol agents who police between ports of entry.